The cry went up among the crowd waiting outside the Shrine of Remembrance in the blustery winds of early last Sunday afternoon. And there they were, right over the target and bang on 1:00pm as briefed. 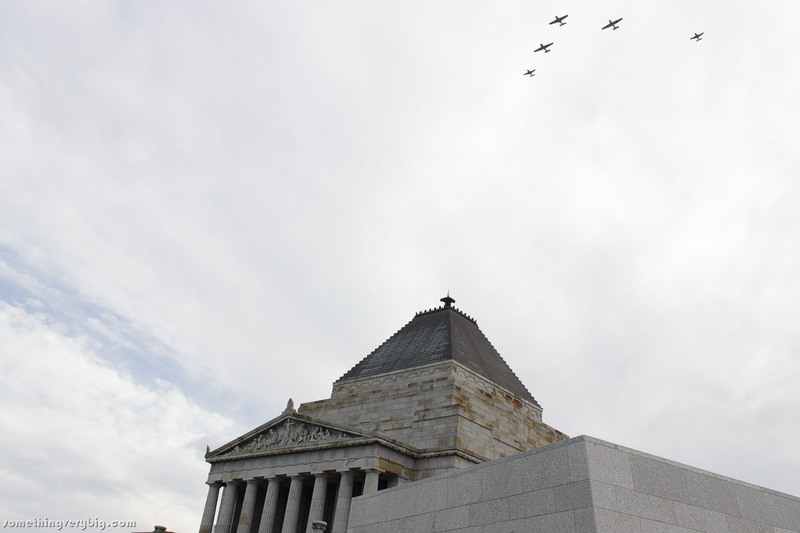 Five aeroplanes from the RAAF Museum’s Historical Trainer Flight – two Harvards, a Winjeel and a pair of CT-4s– swept down St Kilda Road and roared over the crowd. The ‘Sound of Round’ echoed off the buildings. The formation continued south, made a big left-hand turn and then came back across the Shrine again, this time from east to west. The crowd broke into spontaneous applause. 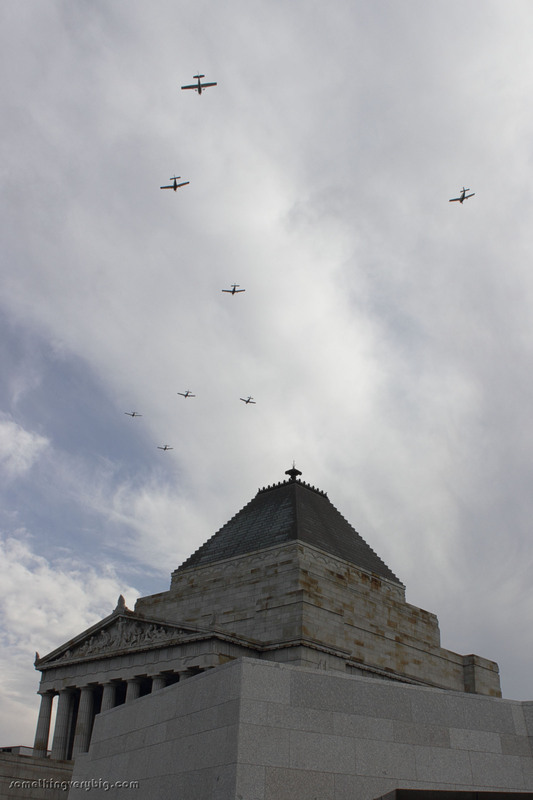 A few minutes later the second formation appeared, out of the south this time and made up of seven Warriors and a Cessna from the Royal Victorian Aero Club. Flying lighter aeroplanes than the Air Force pilots, these guys were copping the full force of the windy, bumpy conditions as they turned to the west from dead over the Shrine. But it looked and sounded fantastic. 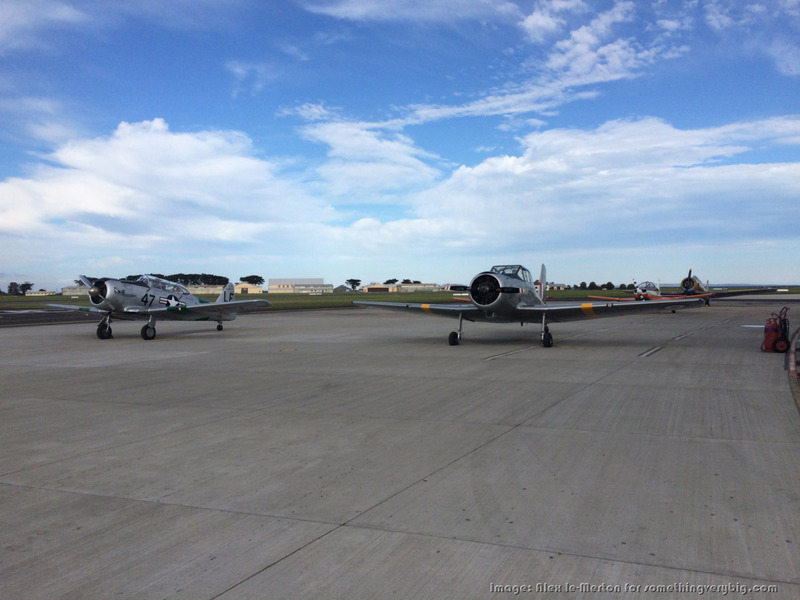 The old flyers on the ground certainly appreciated the dedication and commitment of the pilots from both formations. 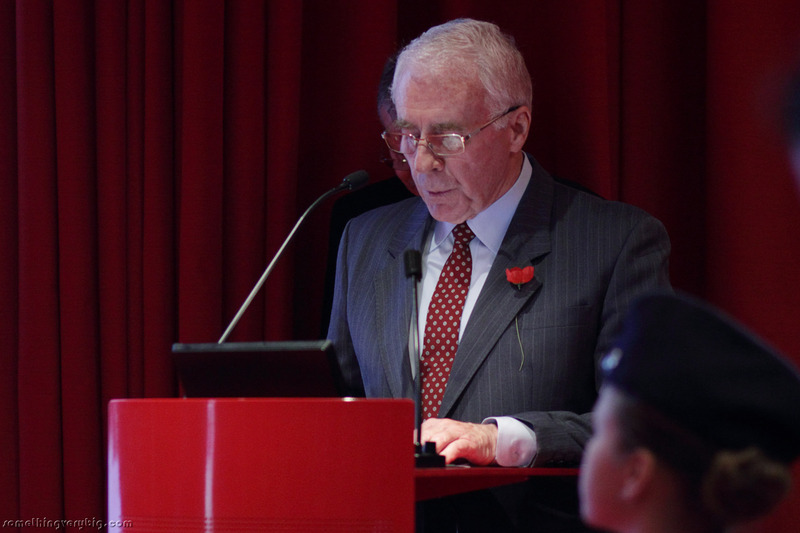 It was a fitting conclusion to the Bomber Command Commemorative Day ceremony which had finished in the new Auditorium inside the Shrine just a few moments before. 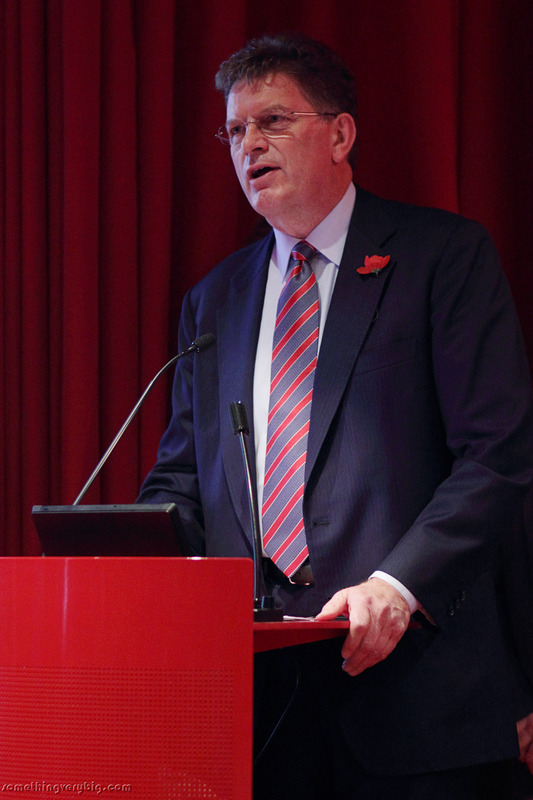 The Auditorium was only officially opened last year and this was the first time it has been used for ceremonial purposes. With cold and blustery conditions outside it was certainly a much more comfortable venue for the estimated 140 or so people who packed it to the rafters for the service. 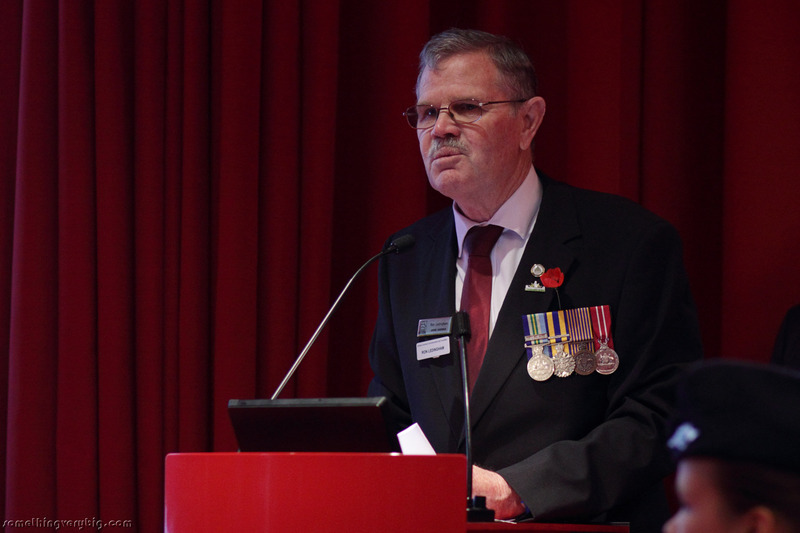 Squadron Leader Ron Ledingham, Shrine Governor and Bomber Command Commemorative Day Foundation (Vic) committee member, opened the ceremony by discussing its importance to the Shrine and to the Bomber Command community. I’ve got the chop, I’ve had it. My nightly ops are done. Yet in another hundred years, I’ll still be twenty one. 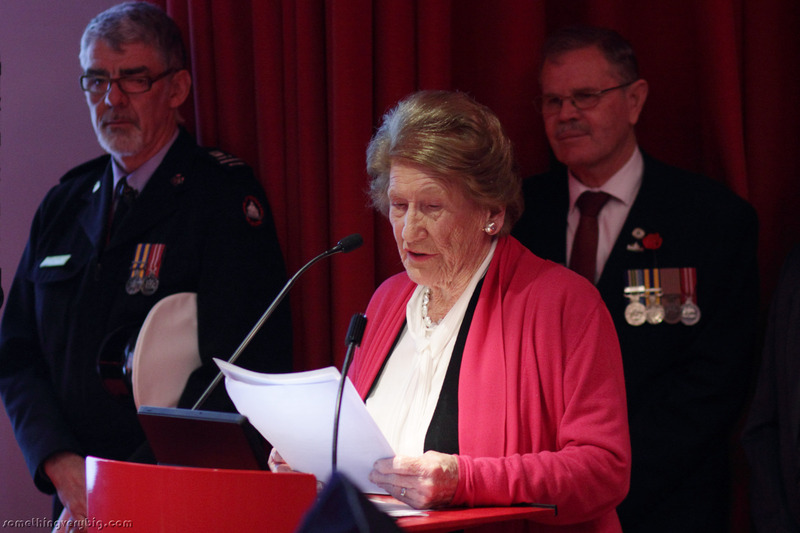 The guest speaker for the ceremony was former Victorian premier and current Chairman of the Victorian Centenary of Anzac Committee, the Hon Ted Baillieu. 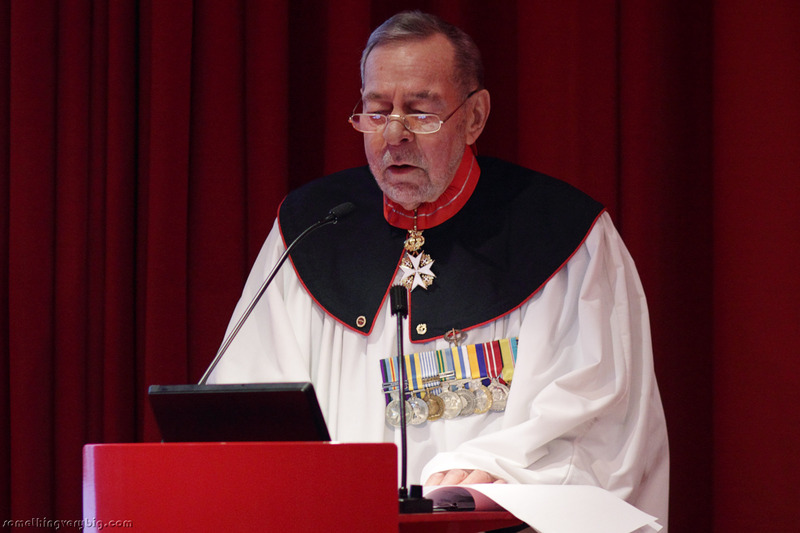 He picked up on Jan’s “21 years” theme, remarking that WWII started 21 years after the Great War ended. 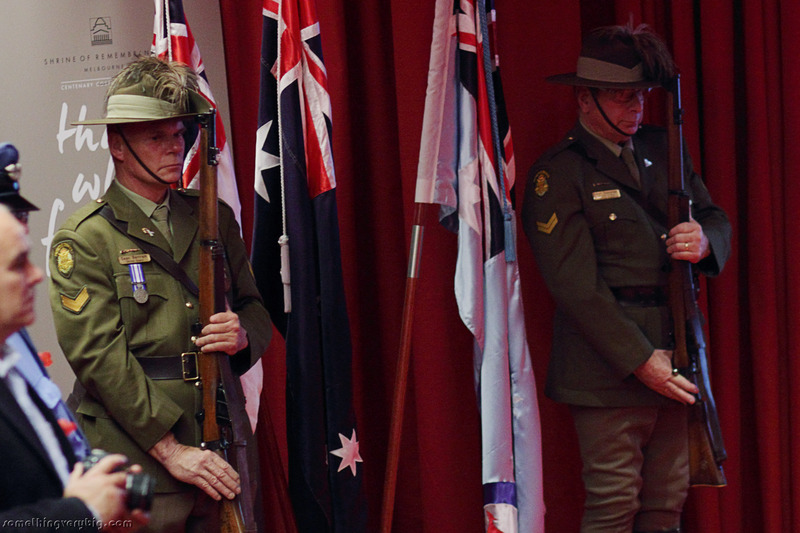 We commemorate anniversaries like Anzac and the end of WWII, he said, for three reasons: to honour those who served, to educate current generations, and to pass the torch of remembrance on to future generations. 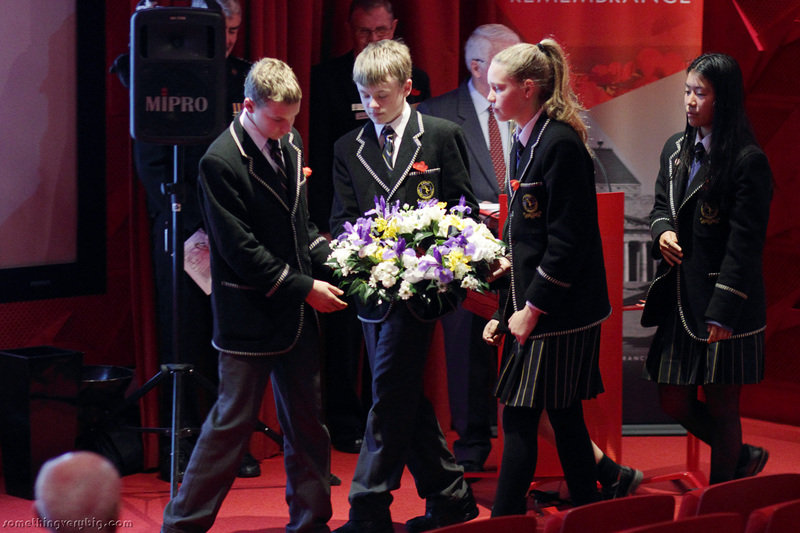 Then came the wreathes, including one from Carey Baptist Grammar School, which has now officially adopted this ceremony as part of the Shrine’s ‘Adopt an Ex-Service Organisation’ initiative. 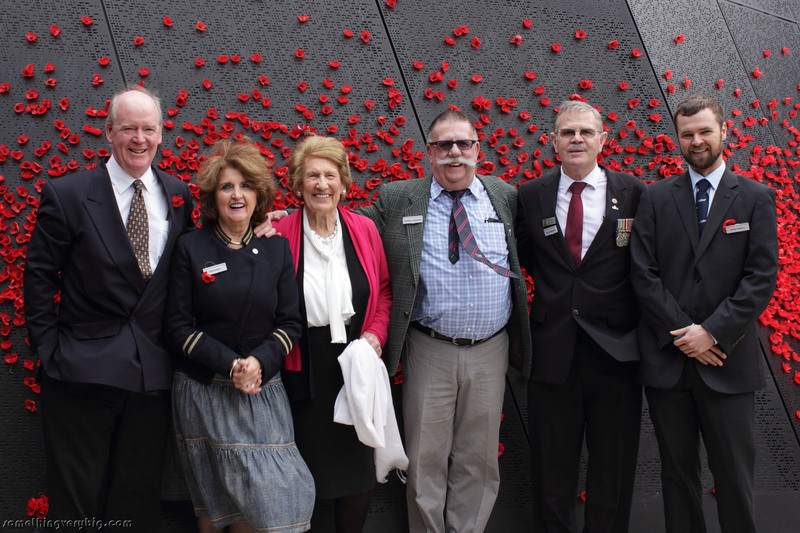 This was their first involvement with the ceremony, and it’s a partnership we hope can continue long into the future – first-hand evidence of the passing on of Mr Baillieu’s metaphoric “torch of remembrance”. And then the roar of radial engines heralded the arrival of the flypast. Until recently, Lachie thought that Steve had been killed in a post-war car crash. But about three months ago Lachie’s wife died. Steve – very much still alive – saw the death notice and recognised his old pilot’s name. 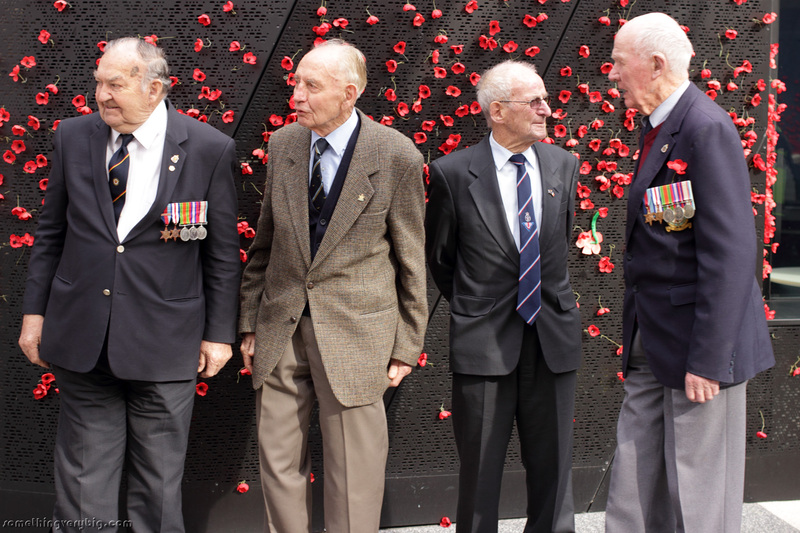 He contacted Lachie through the funeral director, and their respective daughters conspired to arrange a meeting at the ceremony– and so the two old crew mates saw each other again on Sunday for the first time in seventy years. 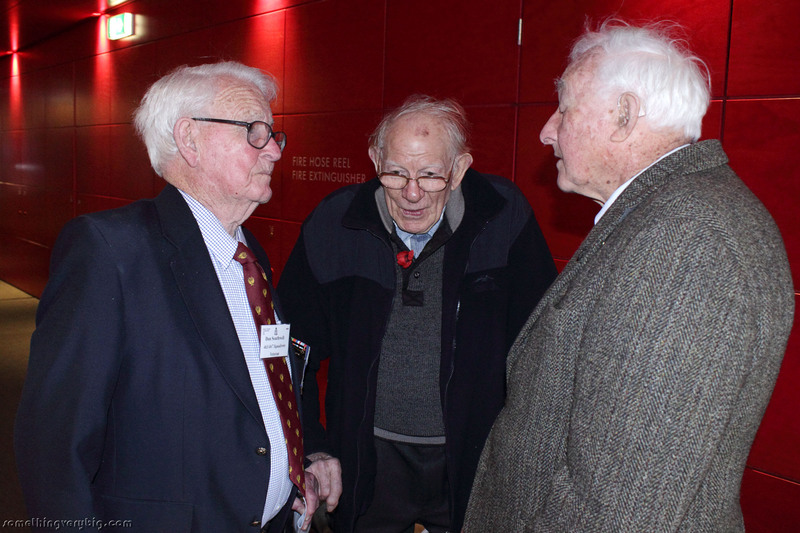 I was lucky enough to be the proverbial fly-on-the-wall as the two old men chatted. Seven decades simply melted away as they just picked up where they had left off. It was a lovely moment to cap off a most memorable day. 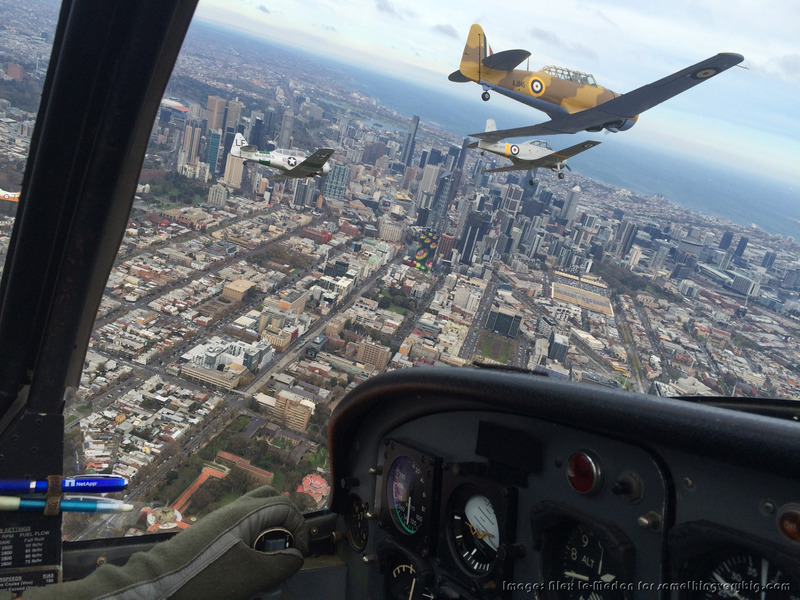 Many thanks to Matt Henderson and Alex le-Merton, the crew of one of the RAAF CT-4s, for the airborne photos. 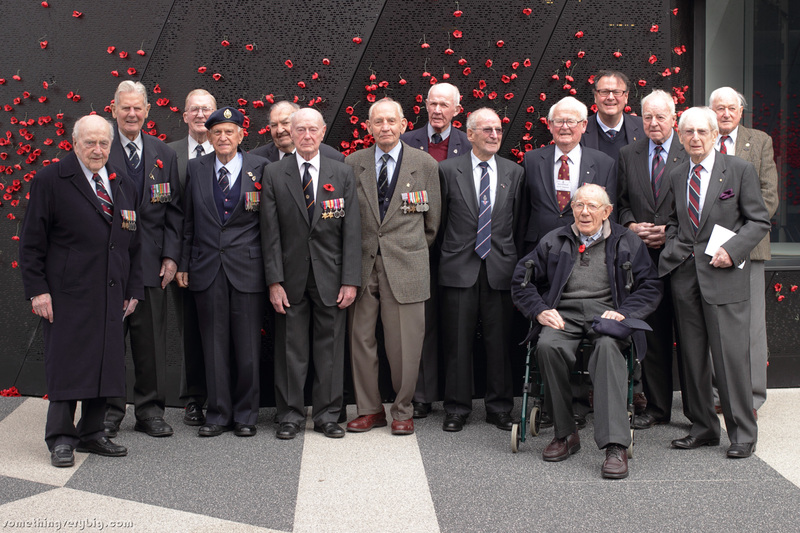 The Bomber Command Commemorative Day Foundation (Vic) Committee sincerely thanks both the Royal Australian Air Force and the Royal Victorian Aero Club for their critical parts in making the commemorative flypast happen.